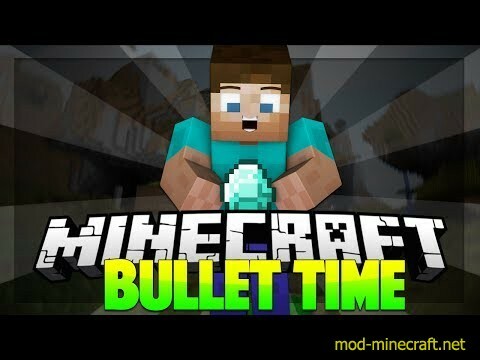 DescriptionThe purpose of the bullet time modification is to change Minecraft game mechanics and allow you to control the speed which your game runs at. Tapping the G Key [Default] opens up a menu that you can use to increase or decrease your game speed. By changing the game speed, EVERYTHING in your Minecraft World [Players, Mobs, Rain, Clouds, Time, Key Strokes, Projectiles, Health Regeneration, etc…] will change speed as well. Note that this mod cannot be used in multiplayer.